Shiny chartreuse spheres, dropping in our woods, send the squirrels scrambling. Bucket in hand, I’ve joined the melee. We’re vying for the sweetest of all hickory nuts, the shagbark. Shagbark hickories are found throughout most of the eastern United States and are easy to identify. As the name suggests, long silvery strips of shaggy bark curve outward from the trunk. Ramrod straight, the narrow tree soars as much as fifty feet before forking into a fanciful canopy of large compound leaves. In autumn golf ball-sized nuts, in clumps of twos and threes, crash to the ground. Even though the yellow-green nuts are unripe, I follow Thoreau’s advice to pick them now before they ‘rattle out’ (separate from the husk), so my noisy competitors do not get them all. Spread out on newspapers, the nuts ripen slowly. The thick husk turns dark brown, and eventually splits to reveal the shell. Once they rattle out, a quick tap with a hammer easily cracks the shell. Then the hard work begins. Picking out the tiny meats is tedious -- this is when children are useful. Older folks in town recall racing home from school and going ‘up attic’ where the nuts were drying. Shelling went quickly, as the clever mother had promised to make cookies as soon as she had a cupful. I don’t have any children in the attic these days, so when my fingers give out, Ray's Hickory Nuts comes to the rescue. I keep a bag of their shelled nuts in my pantry. Native Americans also kept stores of shagbark hickories throughout the winter. John Bartram, 18th century naturalist, noted that each family had as many as one hundred bushels. As sources of food dwindled during the winter, the nuts were an important source of nourishment. The nuts were pounded, and boiled in water. The resultant "hickory milk" was used to enrich corn cakes and soups. Bite into a shagbark and taste a whisper of wild mingled with the sweetness of pecan. Eat them out of hand, or add to tea breads. Make a Cherokee stew with ground hickories, hominy, broth and sweet potatoes, or pair the nuts with meats, especially wild game. I have toasted and tossed them into a wild rice salad, made hickory nut pesto, and a hickory nut date bread. But today I used an old recipe my mother had. Do you go nutting? For hickories, piñons, walnuts? Use walnuts, if you can't find shagbark hickory nuts in your woods. Makes approximately 2 dozen. Preheat oven to 375°F. Grease two cookie sheets, or line with a Silpat (silicone sheet) or parchment. Cream together until light: brown sugar, shortening, and butter. Sift the flour, soda, and salt together and stir in. Bake at 375F for 12-15 minutes. Let stand a few minutes before placing on racks to cool. Note: If you don't want to use shortening, you may substitute all butter; however it doesn’t fully support the hickory taste and cookies will be flat. When we lived for a year in Houston we rented half a house with two pecan trees in the backyard. The owner wasn't interested in this treasure and I was allowed to take all I liked. I picked up all I could find until there were no more to find. This amounted to several grocery bags full and it was my pleasure to mail full taped up bags full to my mother and sister back in Nebraska. That Thanksgiving and Christmas had as many variations of dressing, pies, cakes and cookies as anyone might like. The memory of that pecan harvest is one of the best I have of the year in Houston. One very important lesson I learned was that if the nut was lightweight drop it immediately... there were fire ants and their bite was painful. These cookies look and sound delicious! I've never gone nutting. I must admit I have a low tolerance for the tediousness of pulling the meat out of nut shells, so pre-shelled have been a boon for me. These cookies sound delicious! I just gathered a few bags of these from the woods at our family cabin. I'm so excited - I think I'll be headed back for more this week. I was also able to score a bunch of black walnuts and some chestnuts. I think the shelling will be done this winter in the evenings while we're watching TV. I read that hickory trees only produce nuts after 75 years and that they aren't commercially grown. So all the ones you can buy are naturally grown, talk about patience! I've never tasted a hickory nut before. I love all nuts though. Thanks for the recipe! Marcia, this looks like such fun. Thank you for your post, I think I know where I can find a tree! What a delightful post, loved it. And never heard of a shagbark, but nevertheless after this description I have a hankering for some! I am blessed to have three of these trees near my house. They are beautiful in the fall when their leaves turn gold. The trees are dropping their nuts now, making a very loud noise as they hit the garage roof. The nuts are hard to crack and the meat is difficult to extract, but the taste is good. I did not know until today that the Hickory is related to the Pecan tree.Thanks for the cookie recipe, I will try it. Patricia, I loved reading about your pecan harvest! We've received bags of them from Texas relatives and they are truly treats to be savored. If I ever get to pick some, I'll remember the fireant warning! TWBarritt, yes,after the initial excitement, it is tedious. Agree with you about pre-shelled. Although I do think there is a taste difference. Susy, Lucky you with black walnuts. I've made this cooky recipe with them and they are fantastic Good luck with all your winter evening shelling!! Susy, Yes, it seems everything about this tree is a lesson in patience! Hilary, You are welcome...Hope you find a hickory nut to taste! Bev, Thanks! Are you going on a shagbark hunt? Callipygia, I think you'll be delighted if they cross your path! Iris, I am so glad you mentioned the autumn leaves...they are a beautiful gold. And oh yes...they are very loud when they fall on roofs! You are indeed lucky to have three shagbarks. Enjoy the cookies! I learned something new, fun. The cookies look great. I was so excited to open this post. We've lived with a Shagbark Hickory tree for 8 seasons and this is the first year that we've been motivated to figure out how to enjoy their nuts. I can't believe that we've waited so long. Kids are the key. It started as a way to employ my 4 1/2 year old. She spent hours a couple of weeks ago collecting fallen nuts and banging away on the green hulls to get to the smaller nut inside. Her hands were stained black for over a week from it. Just one week or so later, the nuts were ripe enough to, as you say, "rattle" out of the husks on their own. I'm really interested in finding a nut cracker that will help with the shelling, perhaps our nuts are just not cured enough yet to be easily opened. We've noticed that if you can manage to split the nut on its side, the nut meat comes out in nice halves. Otherwise, with a regular cracker in hand I usually get tiny little pieces of shell and nut that are best consumed as you go. We've sat down three different times now to try to get enough nuts to cook with. Each time has usually ended with a small pile that just get devoured by my 2 year old. My 4 year old is very interested in picking out and collecting a pile to "savor" and just started to keep her own bowl of shelled nuts last night. It will take us a long time to collect 1 full cups of nuts, but the cookies look yummy, so we'll give it another go. What a neat post--loved the history lesson! And so many wonderful comments! Thanks, Lydia! Noobcook, Thank you for that insight..beautiful as well as useful! Peabody, They are fun...good autumn outing. Amy, Your wonderful comments reminded me of when our kids were little. They'd pound the shells on the hearth. Somehow we ended up with dent marks in the wooden floor. Now the marred floor makes me smile. And oh, yes, they do stain! Even worse as they turn brown...my neighbor uses the hulls for dye in her handmade baskets. Thank you for a beautifully written glimpse into your shagbark life. Rebecca, Thanks. Native foods 'with a past' are interesting, aren't they? I love pecans but I'm thinking there would be no chance of finding shagbark nuts over here in Oz. The only native nut we are blessed with is the macadamia which has the hardest shell to crack, though it doesn't stain. Walnuts make a similar stain too. a lovely post. i really enjoy these kind of write-ups. i love pecans - but rely on friends and blogger friends to send me packets of these because we do not get them here LOL! I am glad that Chris of Mele Cotte recently sent me a huge bag so now I can give these great cookies a try. Neil, I've never been able to crack macadamias successfully..is there a trick to it? Meeta, Thank you. Bags of pecans are a treasure..what good friends! There is a trick to it...let someone else do it! 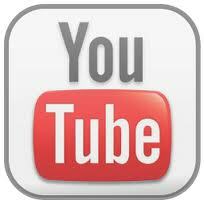 Google ; Mother Earth News, hickory nut trick. I picked up a bucketful today and tried their technique. It works, but they're still not fully dry and I suspect it will work a lot better when the shells are fully dry. Bob, Great info on cracking the shells, thanks for passing it on. Now...to get those meats out! I have shellbark and shagbark hickorys. I like the shagbark better and so do the wild things. We fight over them. The sweeter shagbark attracks the red squirel, gray squirel, chipmunks,......and they climb up and drop the husks on my head to mock me. I'm loading up on Black Walnuts too. Must just be a good year for tree fruits. Thanks for the cookie recipe! Julie, You're welcome. I enjoy your observations (and interactions) with your wild neighbors. I, too, have had those husks dropped on my head. And what a crashing noise they make in the woods. Thank you. As a child growing up in Madison, Wisconsin, each and every fall my best friend and I would go to the local park which had many hickory trees. We would collect pocketsfull of them, then stomp on them on the pavement with our shoes, then pick up and eat the nuts. We obviously weren't worried about germs...LOL! But, we collected and ate them nearly every day after school and on weekends for as long as they lasted. And, of course, we NEVER got sick, germs or no. Those were such wonderful days in the long-ago. Funny, the simple things that remain with you throughout your life. I would love to have some hickory nuts again, but living in AZ, there's really no hope of that. I've often thought of them, though. Carolina, what a happy reminiscence. You write so beautifully of the friendships and joy of childhood. I can just see those two children stomping on the pavement! I just finished shelling enough shagbark Hickoty nuts to give me about 2 cups of nut meat. That's enough to make a batch of cookies. I have about 20 acres of mature Hickory - Black Walnut - and Oak trees . I usually leave the Hickory nuts and half of the Walnuts for the wildlife that spends more time there than I do. This year all of the trees produced enough food to support the squirrels and other forest dwellers for the next two years. I'm looking forward to trying your receipt. I have another receipt that substitutes ground walnuts for the flour that is delicious! Tom, your woodland must be beautiful this time of year with the gold of the hickories and the deep burnished colors of the oaks. I hope you enjoy the cookies...and would love it if you would post your recipe with the ground walnuts. You did ALOT of shelling! Lorrie, You have hickories, black walnuts and the beautiful state of Tennessee! How lucky you are! I'm glad your friend told you how good hickories are...seems to be a well kept secret! Good luck with the cookies. Thank you for your comments. forget the hammers and nut crackers, a small pair of electrical dykes works best. Just start at one end and split the nut, then clip away the shell. You wind up with large pieces of meat and no smashed fingers. with practice, you will learn where to cut. You do need dykes with thin jaws. I use a larger pair to split the nut and a small pair to extract the meat. Good luck amd good eating! OF VICE-GRIP PLIERS TO BREAK THEM. Terrance and Mark, Thanks for the great tips on cracking the shells...either of those methods would get good sized pieces of meat and would eliminate tedious picking at the nut. I will definitely try it next year. Mark, you are so right It is a scramble! Thank you both for weighing in. Your cookie recipe, made with shagbark hickory nuts I purchased on eBay, has completely won over my friends and family. It's the perfect balance of shortening, butter, sugar and nuts -- creating a light, crisp cookie that is totally addictive. And I never did frost them with the maple cream! This is a beautiful website, by the way, with the best photo of a shagbark hickory nut tree I've seen on the web. Thank you! 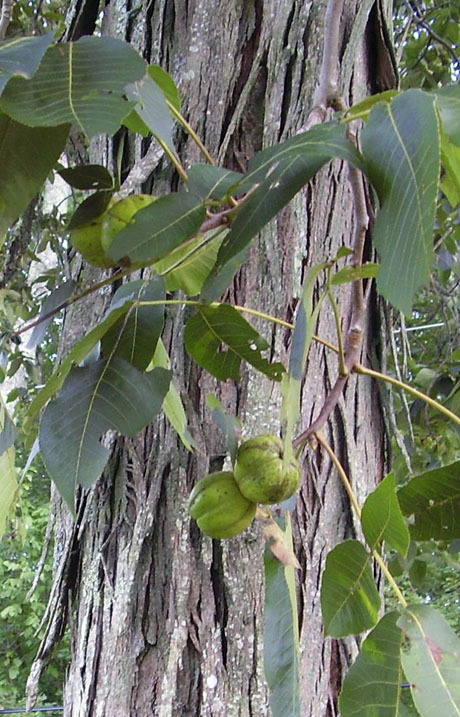 would like to find a place in tucson az, where i may find a hickory nut tree. I am 83 years old and have been picking hickory nuts for 79 years. I started with my father and passed it on to my children and now, my grandchildren, I live in Massachusetts and had a good supply of shagbarks for a while, With the flood of building in the area, many of the trees have vanished. The remaining trees produced well in 2012. I have bought nuts from many states but the best nuts came out of New York and the Catskill Mts.